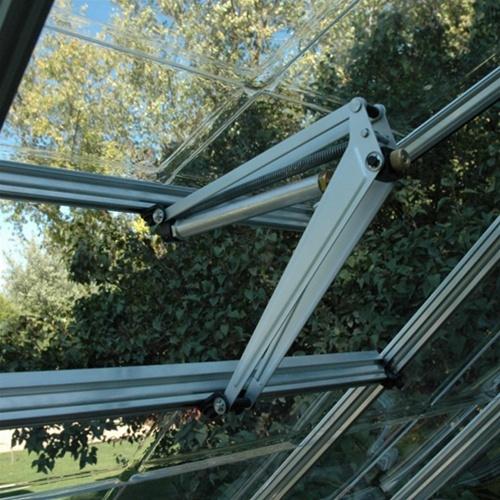 Auto Vent Kit for Snap & Grow Greenhouse | HG1005 | Free Shipping! Price is for one Auto-Vent Kit only. Snap & Grow Greenhouses sold separately. This unique aluminum "arm" is filled with oil. When the oil heats up (over approximately 70 degrees), it contracts, causing the arm to open your vent automatically. When it cools down, the arm comes back down, closing the vent again. 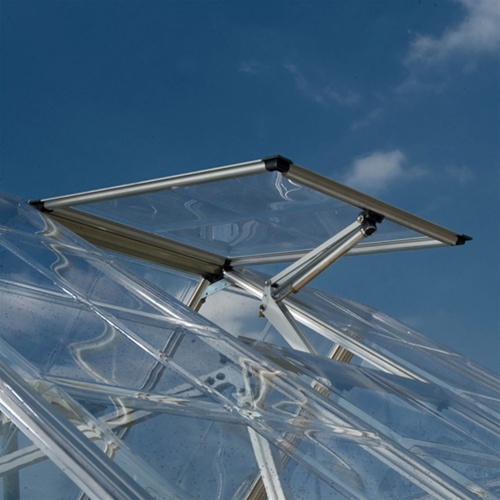 Venting your greenhouse couldn't be easier! 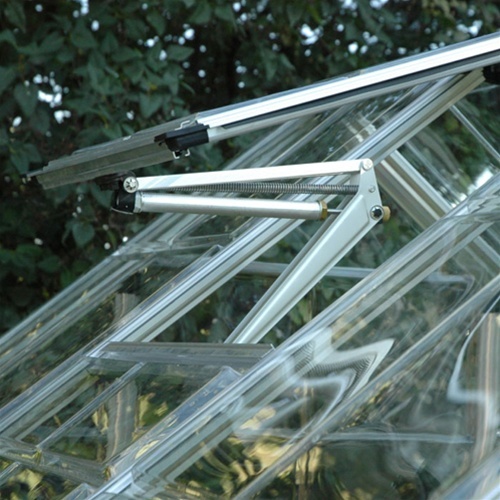 Please note, this Auto-Vent Kit is specifically for the Snap & Grow Greenhouses, sold separately. Please note, returns of this item for any reason not due to our error will be subject to a 20% restocking fee. Shipping carton dimensions: 3" x 3" x 16"
Shipping carton weight: 2 lbs. 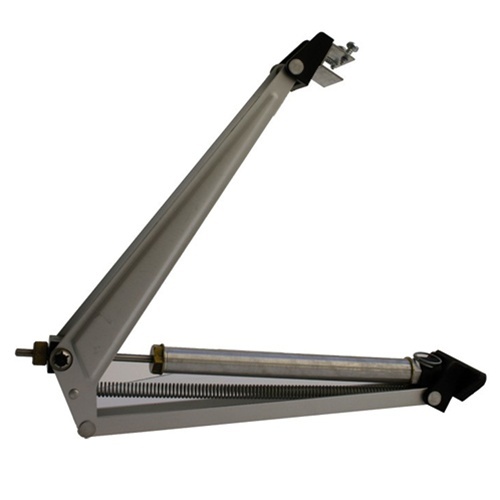 Contrary to the instructions, we found it much easier to FIRST attach the arm onto the panel which is lifted up to allow it to vent, rather than first attaching the bottom arm to the frame. It works fine.